As health-conscious as many of us have become, we can't ignore our inner child when she or he wants an ice cream cone. Even lactose-intolerant people will occasionally forget their digestive difficulties when it comes to satisfying a mint chocolate chip craving. We Torontonians are a hardy bunch. We've spotted people in minus-20-degree weather indulging in this frozen dessert. Perhaps the thinking is that frozen outsides need frozen insides to match? The following are our top picks for the best ice cream places in Toronto, delivered with a smile (and ice cream–stained shirts). Greg Mahon was the first to bring all natural-ice cream to the city in 1981. Still going strong, his roasted marshmallow ice cream is something to crave, and the recipe is a closely guarded secret. Now with a second location in the Distillery District, people talk about this frozen treat with exclamation marks — "Amazing!" Going here is a quintessential ice cream experience and it will give you a nostalgic feeling for Greg's over 30 years of spreading joy through ice cream. What you'll find at Greg's is his connection with people and the history he shares with them over a cone. "People come into the store, we catch up, we reminisce. We talk about their weddings, their funerals, their children. And their kids come to us now too,” Greg explains. Hours: Sunday to Thursday, 12:00 p.m. to 10:00 p.m.; Friday to Saturday, 12:00 p.m. to 11:00 p.m. Hours: 12:00 p.m. to 7:00 p.m.
Summer’s is a family-run ice cream shop in the trendy Yorkville area that's dedicated to fresh and natural ingredients. With flavours like apple pie and blueberry, you can certainly taste the real fruit. The enticing aroma of freshly baked waffle cones will draw you in if you find yourself strolling on Yorkville Avenue. Summer's boasts, "Each waffle cone is prepared fresh — by hand — using only a few pure and natural ingredients. You'd think something this special would cost extra — but we proudly provide our waffle cones for free with your scoop!" They take the word "homemade" seriously, and you can trust they put love into every scoop. Summer's is only open during spring and summer, so remember to take their name literally. 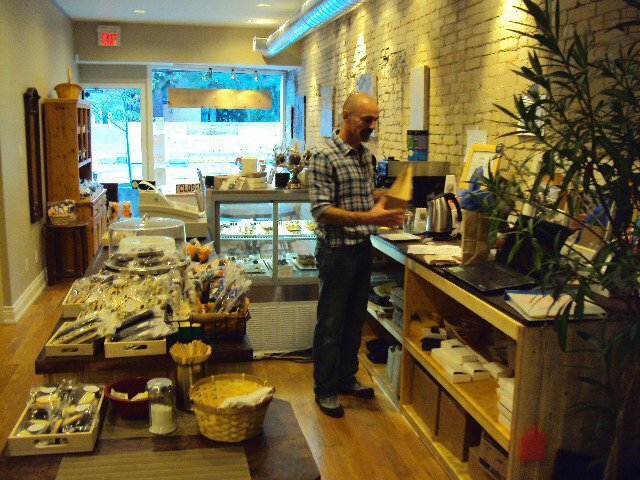 Although essentially a chocolate shop, this Roncesvalles stop has phenomenal ice cream. The ice cream is made in-house and is all-natural (the two key factors to every ice cream place on this list). With a magnificent chocolate aroma perfuming the entire store, it may be difficult to order something other than chocolate, but they do offer many flavours. And because they specialize in chocolate, you can trust they know what to do with it. 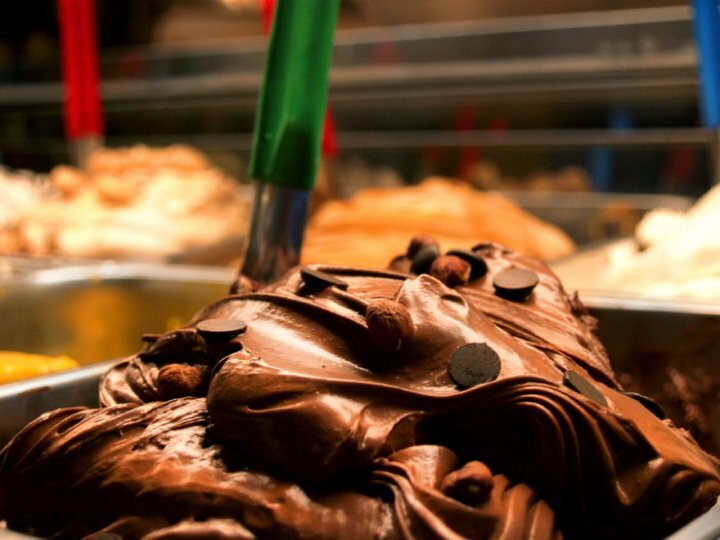 With their motto "For Everything Chocolate," The Chocolateria says, "We make our ice cream in-house using all-natural ingredients... And of course, the cones are dipped in Belgian chocolate." They aren't afraid to take risks with their chocolate — like with the salted caramel flavour, perfectly marrying the oh-so-popular salty-sweet combination. Every ice cream has a custard-like texture, and they certainly think outside the box with flavours like avocado-mint. Stop by here. You won’t be sorry. Hours: Monday, closed; Tuesday to Thursday, 11:00 a.m. to 7:00 p.m.; Friday to Saturday, 10:00 a.m. to 8:00 p.m.; Sunday, 11:00 a.m. to 7:00 p.m.
What gets you about The Big Chill is its atmosphere. This place is so retro! You half-expect Betty and Veronica to be at the front counter. Flavours and suggestions are hand-written on a chalkboard, daring you to try the banana split. The sorbets seem to be the thing to get, with pomegranate sorbet being a customer favourite, according to the owner. 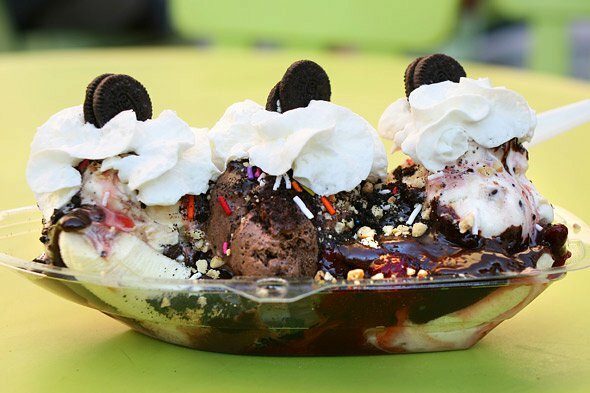 The array of toppings is impressive, with crushed Oreo cookies, fruit, or gummies available to tip your food splurge over the caloric scale. Don’t worry — you’re in Little Italy, where people appreciate a hearty appetite. One customer commented, "I've never been disappointed by any the options I've tried, though I would single out the pralines and cream as a winner." 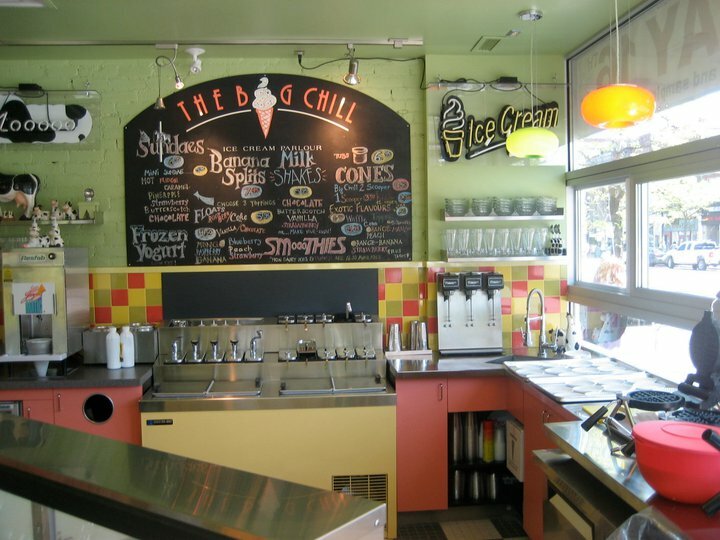 If you enjoy ice cream with a relaxing environment and toppings galore to choose from, this place is the one for you. Ed Francis gets his ice cream inspiration from his parents, who raised a family of five children after WWII in the '50s, when homemade cooking became a central part of their lives. "Mom also had a sweet tooth and homemade treats were a way she brought her kids an extra bit of happiness." When you think of Ed's, one word comes to mind: "creamy." Ed’s Real Scoop leads the way with coveted flavours like burnt marshmallow (watch out, Greg), crème brulée, or Guinness (yes, the beer). They have seasonal flavours, too — like pumpkin and blood orange. At their two locations, in the Beaches and Leslieville, you'll be sure to see customers licking their spoons out front, so follow the waffle cone aroma and look out for the sidewalk crowd — you'll know when you're in the right place. Hours: 11:30 a.m. to 10:00 p.m.
Will Safe Rooms Become a Must-Have in Canadian Homes? Thats Nice! 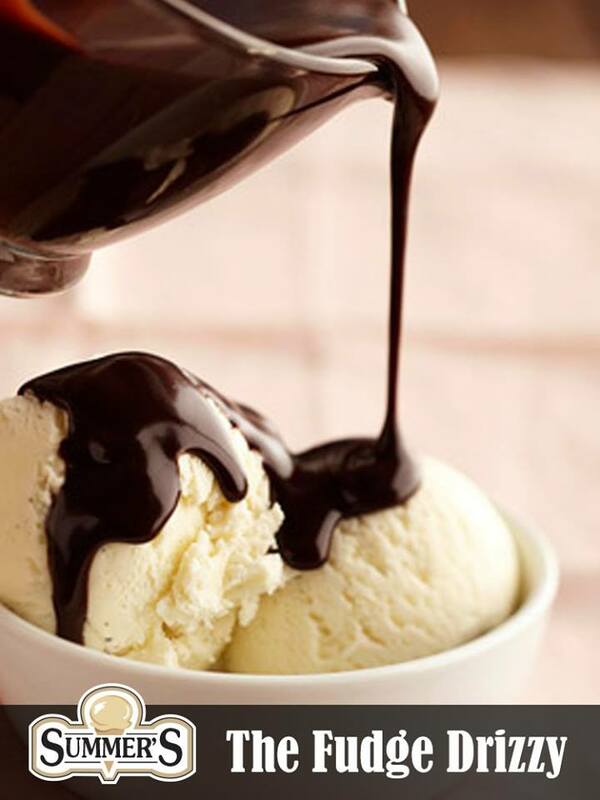 We are specialized in catering a wide variety of ice cream products and flavours, and Popsicle, Ice Cream, Cones, Sundaes. Ice Cream Truck Catering Services for Every Occasion!